Updated 4-28-17 with Report of Special Master November 18, 2016 through March 31, 2016. 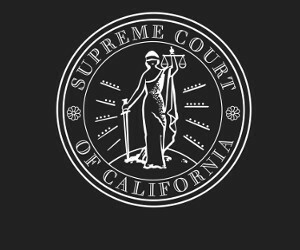 The court has reviewed the request of the State Bar of California for a special regulatory assessment, filed September 30, 2016; the supplemental submission concerning methodology of options for a special regulatory assessment to fund the State Bar in 2017, filed October 31, 2016; the special master's report regarding the request of the State Bar of California for a special regulatory assessment, filed November 9, 2016; the second supplemental submission concerning methodology of options for a special regulatory assessment to fund the State Bar in 2017, filed November 16, 2016; and all amici curiae letters and other documents lodged in this proceeding. Pursuant to the court's inherent " 'power to regulate the practice of law, including the power to admit and to discipline attorneys' " (In re Attorney Discipline System (1998) 19 Cal.4th 582, 592), the court issues the following order for an interim special regulatory assessment that, in light of the particular circumstances facing the State Bar in 2017, is limited to funding the State Bar's discipline system. With this order, the court expresses no view on arguments made by amici curiae concerning the court's authority to order assessments to fund non-disciplinary functions of the State Bar. Further, the order is not intended to preclude the State Bar from collecting mandatory fees currently authorized by statute or from seeking voluntary member donations for activities not funded by the assessment. As the State Bar Act declares, protection of the public is the State Bar's highest priority. (Bus. & Prof. Code, § 6001.1.) The court recognizes that the State Bar promotes this priority not only through the discipline system, but also through its administration of programs that support the judicial selection process and fair and equal access to justice. Because these nondiscipline programs are also critical to the integrity and effective functioning of the legal system, the court strongly encourages the State Bar to identify appropriate funding sources apart from the special regulatory assessment to apply toward the discharge of these and other high priority activities in 2017. Rule 9.9 of the California Rules of Court (rule 9.9), regarding an interim special regulatory assessment for attorney discipline, is hereby adopted, to become effective immediately, as set forth in the attachment hereto. Pursuant to this court's inherent authority over attorney discipline and rule 9.9(c), Justice Elwood Lui is hereby appointed as special master to supervise and oversee the collection, disbursement, and allocation of assessments mandated by rule 9.9(b). The special master shall ensure that funds collected pursuant to rule 9.9 are used exclusively for the purpose of maintaining, operating, and supporting an attorney disciplinary system. It is contemplated that these funds will be used to support the Office of Chief Trial Counsel of the State Bar, including efforts to implement recently issued workforce plan recommendations from the National Center for State Courts; the Office of Probation; the State Bar Court; the Mandatory Fee Arbitration program; the Office of Professional Competence; the Office of General Counsel; the Office of Member Records and Compliance; Member Billing; the discipline-related activities of the California Young Lawyers Association; the activities of the Office of Communications in support of the discipline system; and overhead functions necessary to support the disciplinary system. The special master may evaluate these components of the disciplinary system and related expenditures, and recommend to the court that funds generated by rule 9.9 be allocated among these or other components in a particular manner. Assessments collected pursuant to rule 9.9 shall be segregated from all other fees and revenue collected by the State Bar, and deposited into a separate account or accounts at a financial institution as determined by the special master and approved by this court. The special master shall manage the funds generated pursuant to rule 9.9, before their disbursement, as he deems appropriate. The special master and the Clerk/Administrator of the California Supreme Court each shall have authority to make disbursements from such account(s) for the limited purposes described herein. In managing and disbursing these funds, the special master shall act as an agent of this court. The special master shall be reimbursed for reasonable costs and expenses incurred in performing the duties described herein only upon the prior order of this court. The special master may request that the State Bar provide him with information and reports as necessary, and may require audits of the State Bar's expenditures related to its disciplinary functions. The special master may implement and impose a system of reasonable financial controls on the State Bar to facilitate the discharge of his supervision and oversight duties. The special master shall report to the court regularly, and no less frequently than every three months, on collections and disbursements made pursuant to rule 9.9. At any time, he may request further guidance from or make recommendations to the court as he determines is appropriate. This order is final forthwith. Votes: Cantil-Sakauye, C.J., Werdegar, Chin, Corrigan, Liu, Cuéllar and Kruger, JJ. (a) This rule is adopted by the Supreme Court solely as an emergency interim measure to protect the public, the courts, and the legal profession from the harm that may be caused by the absence of an adequately functioning attorney disciplinary system. The Supreme Court contemplates that the rule may be modified or repealed once legislation designed to fund an adequate attorney disciplinary system is enacted and becomes effective. California Young Lawyers Association (discipline-related only). (B) Nine dollars ($9) to fund implementation of the workforce plan recommendations from the National Center for State Courts. (C) Five dollars ($5) to make up for revenue the State Bar will forgo because of assessment scaling and assessment waivers, as provided for under this rule. (2) The $297 assessment specifically excludes any funding for the State Bar's legislative lobbying, elimination of bias, and Bar relations programs. (3) Payment of this assessment is due by March 1, 2017. Late payment or nonpayment of the assessment shall subject a member to the same penalties and/or sanctions applicable to mandatory fees authorized by statute. (4) The provisions regarding fee scaling, fee waivers, and penalty waivers contained in Business and Professions Code section 6141.1 and rules 2.15 and 2.16 of the Rules of the State Bar of California shall apply to requests for relief from payment of the assessment or any penalty under this rule. Applications for relief from payment shall be made to the State Bar, which may grant or deny waivers in conformance with its existing rules and regulations. The State Bar shall keep a record of all fee scaling and fee waivers approved and the amount of fees affected. (c) A special master appointed by the Supreme Court shall establish the Special Master's Attorney Discipline Fund, into which all money collected pursuant to this rule shall be deposited. The special master shall oversee the disbursement and allocation of funds from the Special Master's Attorney Discipline Fund for the limited purpose of maintaining, operating, and supporting an attorney disciplinary system, including payment of the reasonable costs and expenses of the special master as ordered by the Supreme Court. The special master shall exercise authority pursuant to the charge of the Supreme Court and shall submit quarterly reports and recommendations to the Supreme Court regarding the supervision and use of these funds. The State Bar shall respond in timely and accurate fashion to the special master's requests for information and reports. Should any funds collected pursuant to this rule not be used for the limited purpose set forth in the rule, the Supreme Court may order the refund of an appropriate amount to members or take any other action that it deems appropriate. Rule 9.9 adopted effective November 16, 2016.